Data Governance refers to the dependability, accessibility, security and usability of a company’s data protocol. Implementing a Data Governance program will assure that the way your company manages its data is consistent, legal and safe. Across the world Data Governance has become a key factor in assuring the way in which a company handles its data is legal and safe from penalisation. Without an extensive Data Governance protocol in place, a company could be at risk of cyber hacking, loss of data and heavy legal penalisation. Hiring a dedicated Data Governance Manager is one of the most effective methods of assuring your company is managing its data responsibly and efficiently. A Data Governance Manager is responsible for the implementation of a company’s Data Governance Protocol, communicating necessary changes throughout the entire company and assuring data is being efficiently used and safely maintained. A skilled Data Governance Manager will constantly review changes in the law and keep up with new technologies to assure your company is managing its data to the best possible standard. Am I working with the best possible Data Quality? Is one of THE most important questions a CEO, Director, Manager or Employee can ask themselves. Data is quickly deciding how we make business decisions, so assuring that your Data Quality is the best it can be is essential in implementing justifiable strategic decisions. Anything from phone numbers to competitor analysis can be regarded as data, and how accurate, up to date and relevant this data is to your operations is regarded as Data Quality. Poor Data Quality can lead to poor decision making and ultimately loss in revenue. A Data Quality Analyst can determine whether your Data Quality is high and is being used in the most efficient way possible. It is the responsibility of a Data Quality Analyst to constantly asses a company’s data, where it sources it from, how it manages it and how it uses it to inform decision making. A Data Quality Analyst will be able to develop and implement databases to collate and review masses of data and sources, from this they will also be able to highlight key areas of improvement and inform business decisions. GDPR, or the General Data Protection Regulation was introduced May 2018 and has changed the way in which companies collect, use, store and share people’s personal data. GDPR was created to protect personal data by enforcing regulations on what companies do with it. It effects every company that operates in and to the European Economic Area (EEA), which means any company that might not be based in the EU but who targets people in the EU must be GDPR compliant. Failure to comply with GDPR can result in some considerable penalties, including 4% of a company’s annual global turnover or £20million, whichever is the greater volume. For a consumer facing company dealing with masses of personal data, hiring a GDPR Data Protection Officer can be an essential step to take to assure that you are GDPR compliant. A GDPR Data Protection Officer will constantly asses that the way in which your company manages personal data is compliant with the GDPR stipulations. Public companies are now required to hire a permanant GDPR Data Protection Officer, failure to do so could result in hefty penalties. 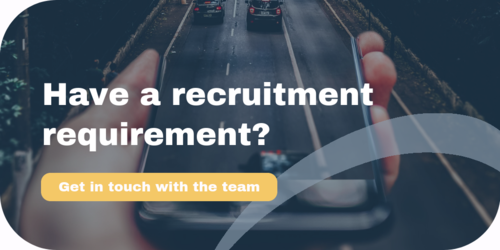 At the Bridge we track changing regulations and screen our candidates based on the most up to date information, assuring that every candidate’s skillset and knowledge is relevant and can benefit our clients. If you are looking for the right candidate to improve the way in which your company manages and uses data or want to assure that your operations are GDPR compliant, get in touch with us today.